It’s kind of rare for The Nerd and I to get out of the house for a date night. So when we got the chance to see Mamma Mia at Dallas Summer Musicals last week, I couldn’t wait to get dressed up! I’m a huge fan of the movie, so I just knew the musical would be wonderful. This hilarious show unfolds on a Greek island paradise, where on the eve of her wedding, a daughter’s quest to discover the identity of her father brings three men from her mother’s past back to the island they last visited 20 years ago. 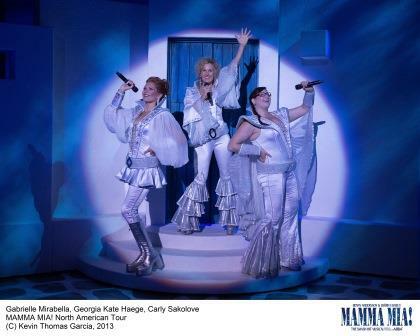 The show features a selection of ABBA’s timeless songs, sparkling costumes, and too-funny humor! It’s a night you won’t forget. In fact, I loved the musical even better than the movie. There are a couple of original songs, and the curtain call is one of the best I’ve ever seen. Don’t leave early — you’ll miss all the fun! The show does feature adult humor and some adult situations, so it’s recommended for children 11 and older. 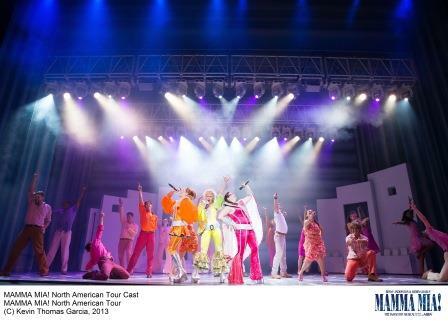 Mamma Mia is on stage at Dallas Summer Musicals now through June 15. 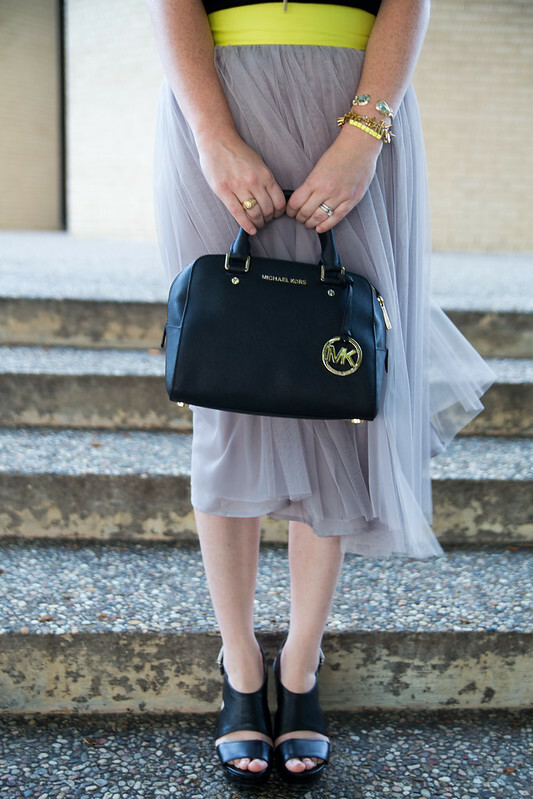 What’s your go-to Date Night outfit? Disclosure: I received complimentary tickets to this show in exchange for promotion. All opinions are my own.